unincorporated county, hear the results of a recent public survey regarding ADUs, and learn about the County’s efforts to simplify getting permits and support applicants as they move through the process of design and financing ADUs. 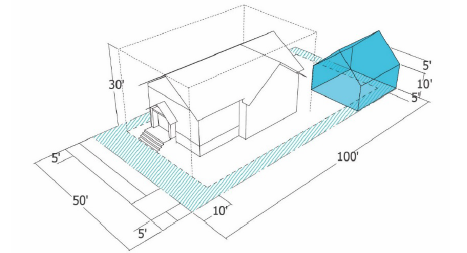 and provide focused feedback regarding ADUs. Some 1,100 private well owners in the Santa Margarita Groundwater Basin are being notified to let them know about a groundwater management process this is getting underway, including a public meeting on Feb. 22. The basin, which extends from Upper Branciforte Creek to Boulder Creek, is in a state of overdraft, resulting in lowered groundwater levels and reduced streamflow. The Sustainable Groundwater Management Act of 2014 requires that action be taken to eliminate overdraft by 2040. The solution will likely involve a combination of water efficiency, increased groundwater recharge and supplemental supply, with costs to users based on impact on the groundwater basin. To stay informed, please check the website at www.smgwa.org and attend the meeting on Feb. 22 from 7 to p.m. at the Scotts Valley Water District. An amazing team of young people from across the country have been working on a series of habitat restoration projects in San Lorenzo Valley. The AmeriCorps team, under the skilled leadership of Linda Skeff of the San Lorenzo Valley Restoration Program, has worked at Highlands Park in Ben Lomond, pulling out the rubber around the playground which could be an environmental hazard to the nearby river. 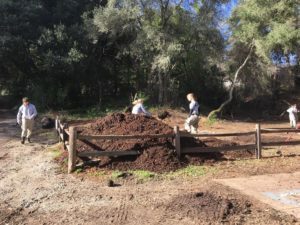 They’ve also been working on projects at Quail Hollow Ranch County Park and a riparian corridor restoration project in conjunction with the Felton Library and San Lorenzo Valley Water District. The community has pitched in, donating food for the team. We are fortunate to have had the team here for a second time. We thank them for their amazing progress. The County is working with PG&E and community advocates on an ambitious Community Pipeline Safety Initiative along the 60 miles of high-pressure gas transmission lines in Santa Cruz County. 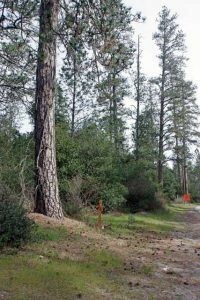 PG&E has proposed to remove hundreds of trees above its gas line along Graham Hill Road between Santa Cruz and Felton and in other areas of the County. While I appreciate that PG&E must have the ability to maintain, inspect, and operate its system, and I support measures to ensure pipeline safety, I share a number of residents’ deep concerns about losing the trees. 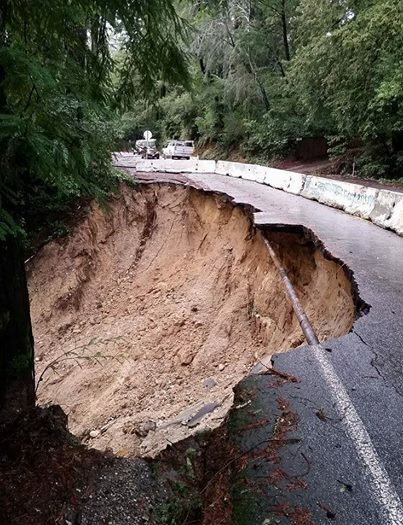 Concerns have been raised regarding the impacts on water, road stability, water, air, wildlife, and long-term health and safety. Supervisor John Leopold and I asked that the project be put on hold while the County creates a framework agreement with PG&E that makes sure our local and state environmental regulations are met, and incorporates specific guidelines for tree removal with the intent to minimize the number of trees cut. Registration for the County’s new cannabis cultivation program closed on November 6. This registration process is voluntary; however, we anticipate that only the owners of registered cannabis cultivation sites will be eligible to apply for a local license when they become available. 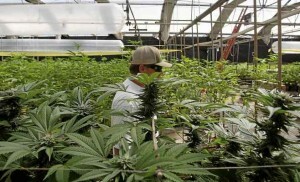 The goal is to allow existing growers to register, receive feedback from the County on the degree to which their cultivation site conforms to the proposed regulations, and allow the County to collect information for the evaluation of the environmental impacts associated with cultivation activities in Santa Cruz County including existing conditions, impacts and recommendations for appropriate regulation of cannabis cultivation. For more information visit: https://scccannabis.co.santa-cruz.ca.us. Read more about the cannabis cultivation issue in Santa Cruz County in this recent Santa Cruz Sentinel article. Bruce McPherson was elected to the Santa Cruz County Board of Supervisors in 2012 to represent the San Lorenzo Valley, including the communities of Felton, Ben Lomond, Brookdale and Boulder Creek, as well as parts of the cities of Santa Cruz and Scotts Valley.